HVAC Caldwell, Idaho | HVAC Nampa, Idaho | HVAC Repair | Air Comfort, Inc.
AirComfort Idaho certified HVAC technicians will come out and match you with the best products for your home or business. We will install any of our products quick and with out delay. We will preform monthly maintenance at your request. Our spacious HVAC showroom to display and demonstrate the functionality of our equipment to our customers. Our goal is to educate our customer so they feel comfortable with and have a better understanding of the efficiency and longevity of equipment they are purchasing. With all this, and our own custom sheet metal fabrication shop, there is not a HVAC job we cannot handle efficiently and effectively within a reasonable time frame. 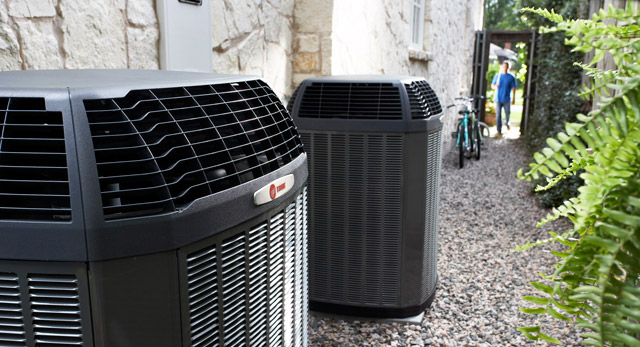 At Air Comfort, we will inspect and diagnose any problem you might encounter with your HVAC systems. When your HVAC unit repairs are managed correctly, we can save you on HVAC costs and energy bills. Emergency HVAC repairs are available upon request to Nampa, Caldwell, Boise, Meridian, Eagle residents and businesses. we will service your existing HVAC system in emergency situations. Because we have some of the most experiences HVAC certified technicians in the Treasure Valley, we can guarantee a quick diagnoses and a even faster HVAC repair. With our own custom sheet metal fabrication shop we can make or retro fit any part you might need. Here at air comfort we know time is money, so we promise a quick and efficient job.